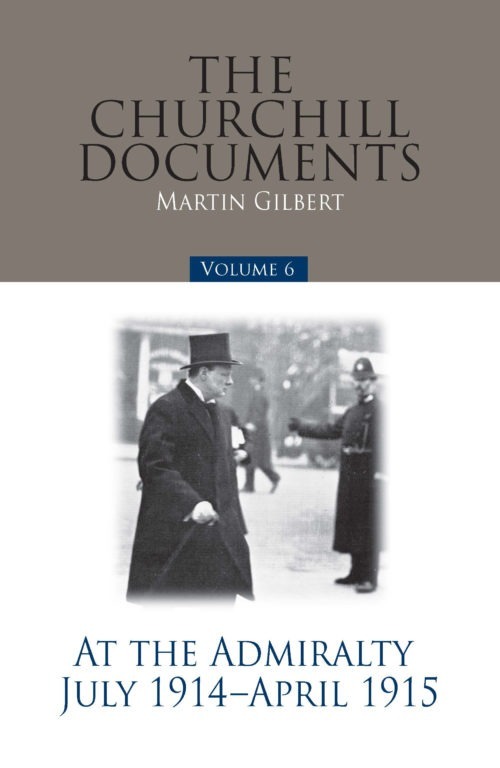 The letters and documents reproduced in volume 6 of The Churchill Documents were written between July 1914 and April 1915, a period covered by the third volume of Winston Churchill’s official biography. This volume contains the documentary evidence of his initiatives, setbacks, and achievements as wartime First Lord of the Admiralty. By examining in detail the evolution of British war policy, Sir Martin Gilbert has discovered the extent to which the precise nature of Churchill’s involvement and responsibility, with regard to all the controversial aspects of his war policies, differed from what many of his contemporaries believed: misconceptions that soon became widely accepted in the public mind. The volume includes his efforts to sustain the siege of Antwerp, his support for the use of air power in war, and his central part in the development of the tank. It also shows the enthusiasm and forcefulness with which he supported an offensive naval policy, first against Germany, then against Turkey, impressing and influencing his colleagues.